KARACHI: The 4th Pioneering Innovations in Ophthalmology (PIO) was held the other day in Karachi here at a local hotel. The conference was organized by Hashmanis Group of Hospitals and Ophthalmic Society of Pakistan (OSP). 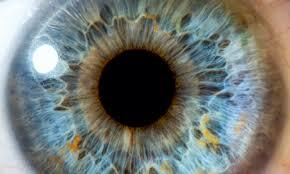 “As many as 25 percent diabetics lose their vision annually in Pakistan due to cataract and glaucoma. Fortunately, a majority of these conditions can be prevented or treated if people see trained and qualified eye specialists timely”, said one of the leading ophthalmologists Dr Sharif Hashmani. Prominent eye specialists from entire Pakistan spoke at the conference and discussed different aspects of innovations in the treatment of eye diseases, use of modern techniques including Optical Coherence Tomography (OCT) and observed that through latest imaging techniques and machine-assisted technology, complicated surgeries could easily be performed now to save vision of thousands of people in the country. On the occasion, a gold medal was awarded to eminent ophthalmologist and eye specialist, Dr Niaz Ahmed for his services in the field of ophthalmology, especially for performing over 9500 corneal transplants while a young doctor from the Aga Khan University Hospital (AKUH), Dr Sidra Zafar, was given cash a prize of Rs50,000 for presenting the best paper at the conference. Speaking as the chief guest at the ophthalmology conference, College of Physicians and Surgeons Pakistan (CPSP) Director General Dr Khalid Masood Gondal said Pakistan is facing acute shortage of trained and qualified ophthalmologists as against the required number of 100,000 ophthalmologists, Pakistan only had 30,000 ophthalmologists at the moment while there are only a few hundred specialists in the emerging field of pediatric ophthalmology. “As per World Health Organization (WHO) recommendations, we need at least 100,000 trained and qualified ophthalmologists but currently we only have 30,000 eye specialists in the country”, he said and claimed that CPSP is trying its level best to overcome the shortage of eye specialists by motivating young doctors in the field of ophthalmology. It was claimed that female doctors were enthusiastically joining the field of ophthalmology and CPSP has encouraged them to get specialization in the emerging field of pediatric ophthalmology to prevent blindness among children. He urged people to adopt a healthy lifestyle to avoid diabetes and hypertension, the biggest cause of blindness in Pakistan at the moment and urged people to approach trained and qualified doctors in case of any vision-related problems as most of the eye diseases were now treatable in Pakistan. To a query, he said excessive use of 4th generation antibiotics is another problem in causing drug-resistant eye diseases in Pakistan where drugs are not effective in controlling bacterial eye infections and urged doctors not to prescribe 4th generation antibiotics to patients while urging people to avoid self-medication. Pakistan Islamic Medical Association (PIMA) President Dr Misbahul Aziz also advised that the public should adopt a healthy life-style to avoid diseases like diabetes and hypertension so they can mitigate the chances of suffering from cataract and glaucoma. The conference was also addressed by Prof. Maj. General (retd) Mazhar Ishaq, Prof. Shoaib Shafi, Prof. Fawad Rizvi from LRBT, Dr Sami Memon, Dr Rehan Siddiqui, Dr Amer Awan who spoke on various techniques including OCT while young doctors from different public and private medical universities and colleges also attended the conference.